Crown Meat & Provisions Inc. began as a six employee operation and now has nearly 40 employees. Leaders in our organization have a combined 110 years of experience in meat processing, meat cutting, business management, accounting, and marketing, all of which have contributed to our success. Our team is dedicated to quality, consistency, customer service and fast delivery! Read more about our team of dedicated professionals below. Joseph was born and raised in post WWII communist Czechoslovakia. He earned a degree in mechanical engineering, but when he immigrated to the US in 1971, he took a job in his uncle’s butcher shop while learning english (his sixth language). Within a few years, Joseph was managing one of the retail butcher shops, and servicing a few restaurants. Together, they founded Center Meat Co., a wholesale distributor, in 1975. 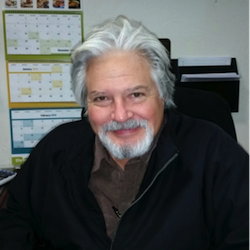 In 1983, Joseph sold his share of what had become a well established business, and he spent the next three years working as a center of the plate specialist for Sysco. After his time at Sysco, Joseph started Eltad food distribution in Anaheim. While growing Eltad into a successful operation, he saw an opportunity to expand into an underserved market, and in 1992, he entered into a partnership to open Crown Meat and Provisions in Palm Springs.  In 2003, he sold Eltad and began to focus solely on Crown Meat. The growth of Crown Meat has been extremely gratifying to Joseph, and he still enjoys the challenges associated with his work. 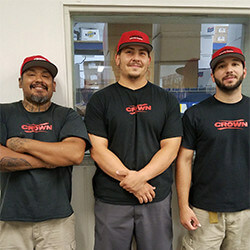 He looks forward to providing Crown Meat’s wonderful customers with unbeatable value, the highest quality products, and excellent service at reasonable prices for many years to come. Glenn Olivier was born and raised in Winnipeg, Canada. In the early 1960’s, his family moved to Southern California. Glenn graduated high school 1977 and soon after attended Mount San Antonio college to study Psychology. While in school, he worked the night shift with Corrigan Meat and Provisions in Huntington Beach as a warehouseman and assistant to several Butchers. 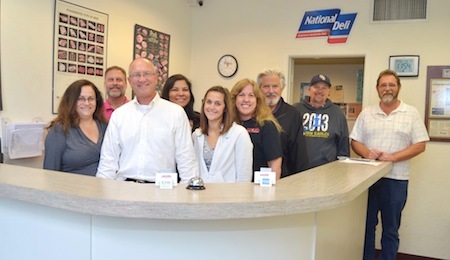 In 1980, he entered the sales force covering Newport Beach and Laguna Beach. The company was acquired by Monfort Beef Packing in late 1980, which opened up a great opportunity for growth within the company. 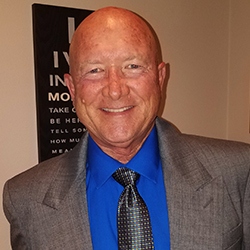 In 1981, Glenn was relocated to Sacramento, California as a sales representative with Monfort where he covered Sacramento, Lake Tahoe and Reno, Nevada. Conagra Foods purchased Monfort and Glenn was relocated to Palm Springs in early 1990. Glenn was introduced to other big names in the area including, Joe Eckfeld and Ralph Wilhide by long time friend Jerry White. The four quickly became friends and business partners after establishing Crown Meat and Provisions 1992. Currently, Ralph is retired and Jerry has passed. Glenn and Joe continued to grow Crown Meat, with the purchase of Beef Master in Burbank. Crown now serves most of Southern California, with the focus on center of the plate proteins. 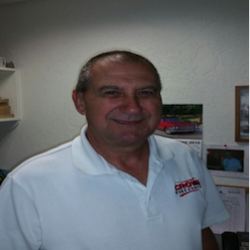 Jim has been with Crown Meat for over 9 years in the position of Purchasing agent and Logistics. He got his start into the Meat industry in 1978 with Rubio Meat Company as a warehouseman and rapidly moved up after 5 years of performing numerous jobs including Butchers assistant and purchasing assistant. He moved to Sun Meat Company as General Manager and Director of Purchasing. As he assisted in the growth of the company after 10 years, Jim went to work for Eltad Foods in Anaheim, California where he was Warehouse Manager and Purchasing Manager. Subsequently, Eltad Foods was sold and he began working for a small company in Banning, California for a short time as General Manager specializing in Federal, State and County Bids. Jim Joined Crown Meat and Provisions Inc. in 2006. He brings a vast knowledge of purchasing and sourcing various products. 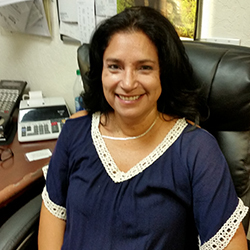 Terri has been with Crown Meat Co since 1999. After spending 12 years of internal office operations positions, including Customer Service, Accounts Payables, Accounts receivables, she assumed the responsibility of a Sales Representative in 2011. Prior to Crown Meats, Terri worked in the Hospitality Industry. She worked with several restaurants in the Coachella Valley as well as Las Vegas with extensive Banquets and Catering experience. She brings a true caring trait for the customer needs. She is a proud mother of two wonderful children. Her son is currently an active United States Naval Airman, and her daughter is attending Colorado State University to pursue a degree in Animal Science. Mike has been with Crown Meat for over 20 years. Mike comes from the restaurant side of the hospitality industry. He has worked for numerous national chains including TGIF, Bennigans, Steak and Ale, Plaza 111 prime steakhouse, Carlos Murphy’s, and Hungry Hunters Steakhouses. After developing 16 new restaurants and concept designs, he embarked into a sales career working with Island Oasis Natural Cocktail mixes & Equipment. Mike specializes in menu development and creative menu concepts. He has proven to be an asset because of his appreciation and respect for every customer that walks through our doors. 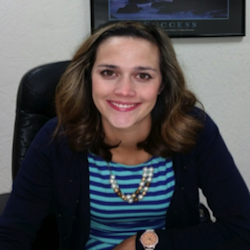 Tierra is our newest addition to the Crown Meat team. She was born and raised right here in the Coachella Valley. Tierra was a standout high school soccer played as well as high-level travel teams. Upon graduation, she attended New Mexico Highlands University to pursue a degree in Kinesiology and continued to play soccer at the college level. She later transferred to California State University of San Bernardino where she finished with a bachelor’s degree in Kinesiology. As a mother of two, she enjoys the simple things in life and continues to learn the food business everyday. David has over 42 years in the food and beverage industry as an Executive Chef. In the mid 1970’s he worked with Saga Corporation at their fine dining restaurants, the Velvet Turtles, and eventually becoming a regional Executive Chef overseeing multiple properties working in Los Angeles, Orange County, and eventually moving to the Desert area. He then opened Sonoma Grille at the Embassy Suites in Palm Desert where he brought his culinary talents and created a delicious menu. After spending most of his culinary experience working nights and weekends and holidays, he made the transition into the sales end of the hospitality industry representing Young’s Meat and Provisions around 1992. With extensive classroom work in meat sciences and multiple visits to production facilities to expand his knowledge of Beef, Veal, Pork and Poultry, David joined Crown Meat Team in September of 2002. David became a great center of the specialists, providing Chefs with outstanding protein options and helping with food cost across the board. Rick originally began working in the meat industry in Colorado, where he worked for Monfort Beef Packing. 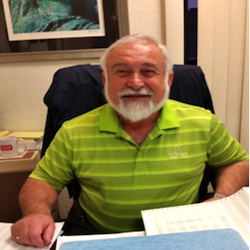 In the Late 1980’s, he moved to palm springs and began working for Mapelli Brothers Meat Company as a warehouseman and a driver. Throughout the next few years, he began working for Shanrock Foods in Southern California. We welcomed Rick to the Crown Meat team in the late 1990’s. 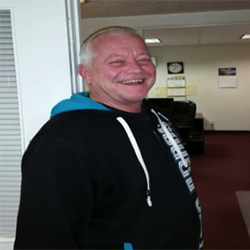 Rick’s attention to customer service and professionalism has proven to be a great asset to our team. Many customers have complimented Crown Meat for having such a pleasant person on our team. During Rick’s free time, he is an avid scuba diver and a certified underwater welder. His love for the ocean takes him to the San Pedro area as well as Catalina Island several times a month. Ron is originally from St. Paul, Minnesota and has been a Certified Public Accountant for 37 years. He has worked with two CPA firms in the greater St. Paul area for 13 years where he managed the businesses finances. He spent the next 11 years as the financial Controller for a privately held Scrap and Recycling Center. 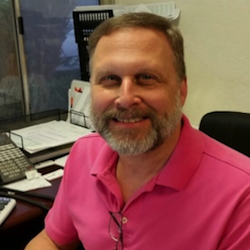 In 2003, Ron relocated from Minnesota to Palm Desert California, where he currently resides with his wife Kim. He worked as Controller for several Companies and CPA Firms before joining the Crown Meat team as Office Manager and Controller. Ron also handles Crown Meat Company’s human resources department. John Hampson resides in Morongo Valley and has been a resident of Coachella Valley his entire life. He attended College of the Desert and has been with the Crown Meat team since 2002. Having worked in almost every position in the processing room and warehouse, he has consistently worked to improve himself and Crown Meat. As a Hazard Analysis & Critical Control Points trained employee, he works to facilitate food safety and quality assurance as the HACCP Coordinator. John loves to give back to his community. 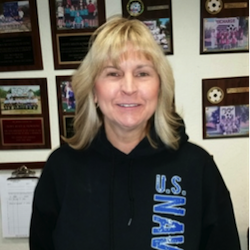 He has been a very active volunteer with AYSO (American Youth Soccer Organization) since 1993. John is the Regional Referee Administrator and a board member. John is both a National Referee and Referee Instructor for the organization. 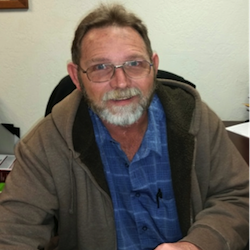 Scott was born and raised in Wyoming and first got his start in the meat industry in 1985. 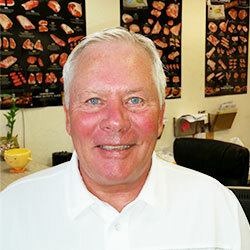 Scott started at Jensen’s Finest Foods in Palm Springs, California as a meat clerk. In that position, he learned valuable tools and skills about cutting meat from the retail sector. In late 1986, he chose to seek employment with a local vendor and started with Mapelli Meat Company in Palm Springs. At this company, he learned the distribution end of the food business. While at Mapelli, he quickly advanced from a driver to warehouse worker. During slow times in the business, he was an apprentice butcher under the guidance of Derrick Goodall. 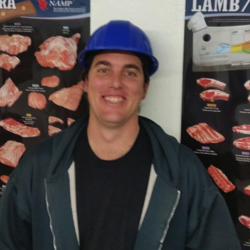 As rapid changes and mergers were happening in the meat industry, Mapelli expanded their production facility and Scott was promoted to Production Room Manager where he honed his skills as a meat cutter. In 1991, Mapelli was acquired by ConAgra Foods and was converted into the Young’s Meat and Provisions. Scott continued with Young’s and entered into sales career in 1992. He transferred to branch of ConAgra that owned Mapelli Brothers Meat in Billings, Montana, where he excelled center of the plate proteins. 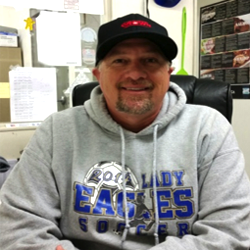 Scott joined Crown Meat team in 1996 and has worked his way through every position at the company. He now heads all shipping and receiving for Crown Meat and he is the direct liaison to U.S.D.A. Scott continues to be a vital part of the Crown Meat operation. Dwight Tang was born in Cooperstown, North Dakota. Midway through his childhood, his family relocated to Portland, Oregon. In 1976, He attended University of Oregon to pursue a degree in marketing. Upon completion, Dwight started his career with Coremark Distributing. In 1982, over a nine year stint and being top three highest gross sales within the company, the opportunity to change came along and he joined Sysco Food Service, where he spent the next seventeen years. He retired in 2013 for a short time, relocating to the Coachella Valley to spend time with his children and grandchildren. We welcome Dwight to the sales staff here at Crown Meat & Provisions Inc. His focus will be the east end of the Coachella Valley and expanding specialty care facilities and health care. Yvonne has a brilliant outlook on life. Her caring attitude toward customer service is second to none. Her attention to detail and 26 years in the property management industry (with certificates in the Insignia Management Programs from the early ’90s) make her a valuable asset. Married for over 20 years, Yvonne is also a mother of 4. She is so proud of her 3 daughters, 1 son, and 7 grandchildren—always glowing when she speaks of them. She and her husband love to travel to preferred locations on the Mexican Riviera, where they spend time relaxing on the beaches. Family values, honesty, integrity, and reliability are also very important to Yvonne. We are grateful to have her on the Crown Meat team. If you are ready to place an order, fill out your order form here! Speak to one of our professionals. They will help you choose the meat that will work best for your business. We can’t wait to partner with your business.